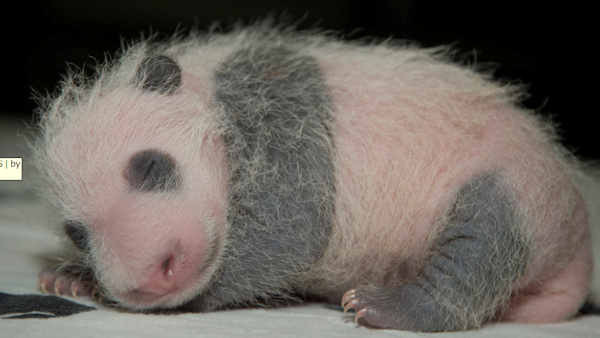 WASHINGTON -- The 4-week-old giant panda cub at the Smithsonian's National Zoo now weighs nearly 2 pounds and is starting to look like a panda - specifically, his dad. The zoo says the cub weighed in at 1.9 pounds on Monday. That's nearly eight times what he weighed at birth on Aug. 22.